The rumor going around the internets this morning (we first alluded to it in passing here) is that Apple's former interim-CEO and current COO Tim Cook is on the short list to become HP's next CEO. Not true, says Gleacher & Co.’s Brian Marshall, who follows Apple. He called me a short while ago to say he’d just run into Tim Cook in Palo Alto, had coffee, and asked him about the rumor. 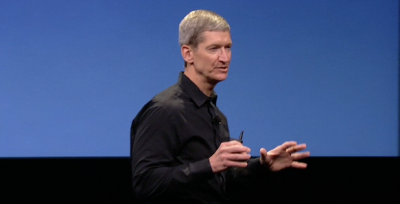 “Tim Cook will not be going to HP, he loves Apple,” Marshall tells me Cook told him. Even though the above is a fairly long chain of reporting, we can't say we're surprised to hear Cook isn't interested. After running Apple in Steve Jobs' absence for some time (and getting a cool $22 million in cash and stock for his trouble), we suspect he's on the short list to take over after Jobs ascends retires. Back to more likely candidates, we also are going to give HP's own Todd Bradley the benefit of the doubt after his interview with TechCrunch yesterday when he said "you can ask me next year, if I take the position." We're not saying he's not on the short list, we're just saying interviews are hard and, well, we know from hard experience that HP execs need to be given some leeway when it comes to off-the-cuff statements.